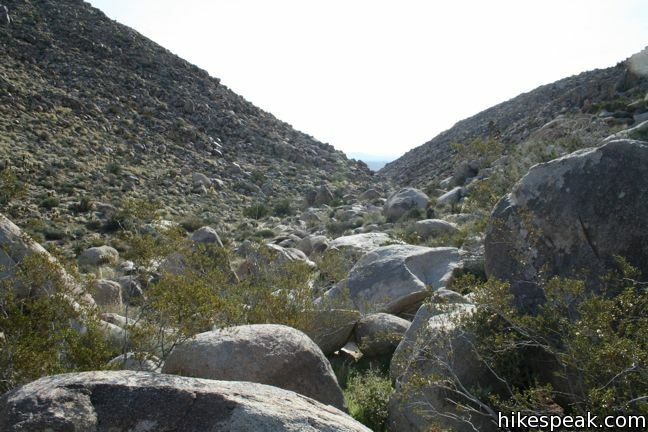 This short gradual 0.6-mile round trip hike ascends to an area of Anza-Borrego Desert State Park that was once inhabited by Kumeyaay Indians. 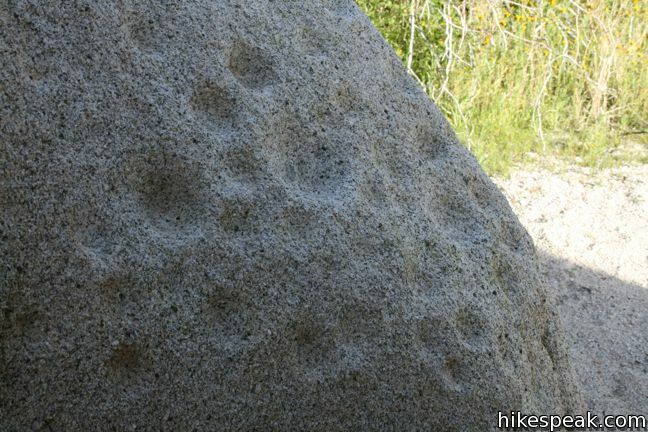 The Kumeyaay left behind morteros, grinding bowls carved into large boulders along the trail. 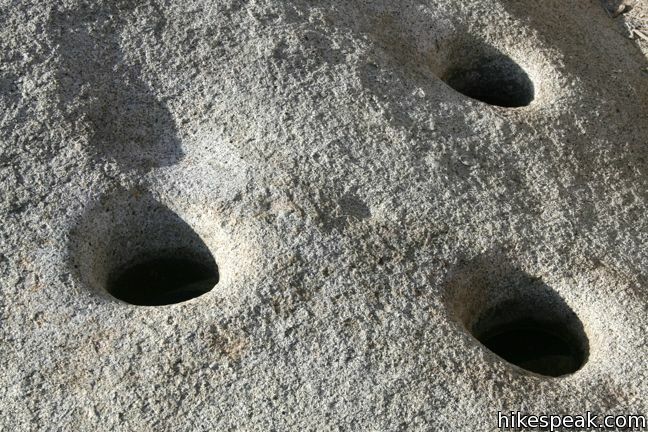 These Native Americans used the circular morteros over 2,000 years ago to grind local nuts and seeds into meal. 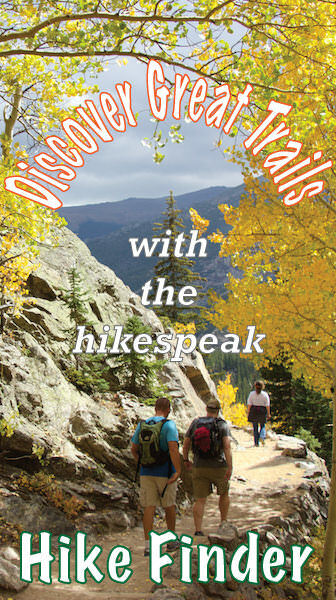 From the well-marked trailhead above Blair Valley, begin hiking southwest toward a gap in the hillside. In no time, the single track reaches a city of boulders on the right side of the pass. 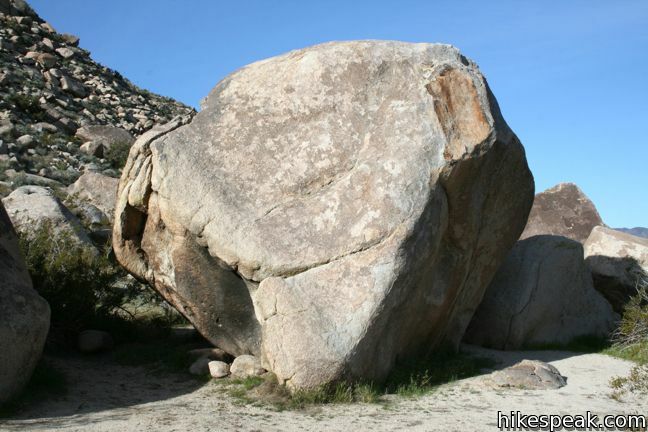 Several footpaths explore these boulders. 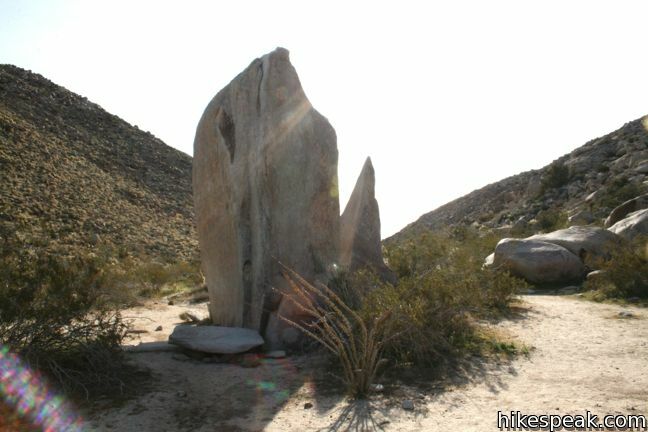 The main trail ends at a prominent obelisk-shaped rock. Morteros are carved into the flat boulder on the far side of the rock. 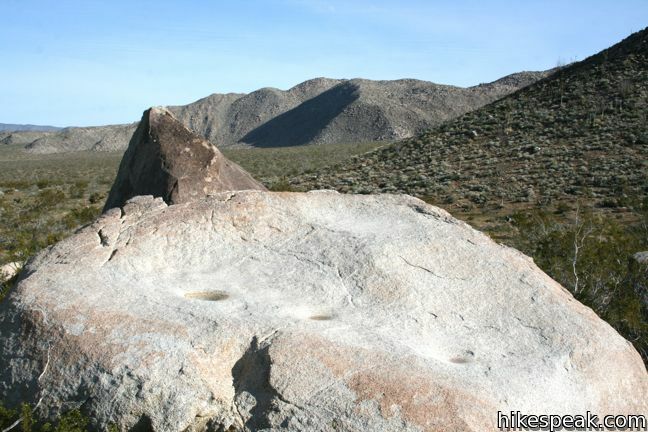 Trace your way back amongst the boulders and hunt out other grinding bowls. When you have seen enough, return down the trail, enjoying a nice view over Little Blair Valley. 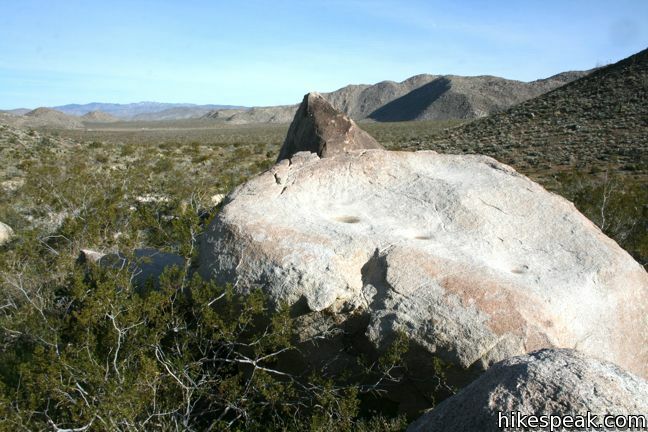 To learn more about Native American life in the Anza-Borrego Desert, visit the nearby Pictograph Trail. 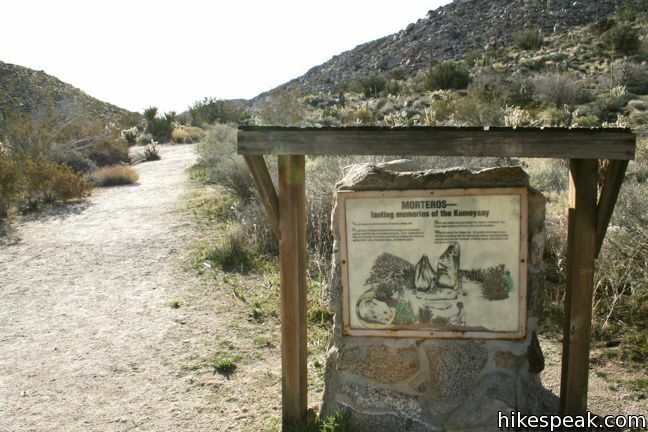 No fee or permit is required to hike Morteros Trail in Anza-Borrego Desert State Park, so get out and enjoy. 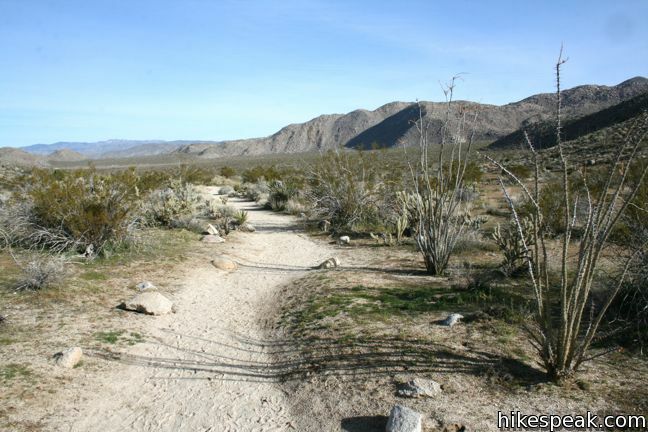 To get to the trailhead: From Christmas Circle in Borrego Springs, drive 5 miles southwest on Borrego Springs Road. 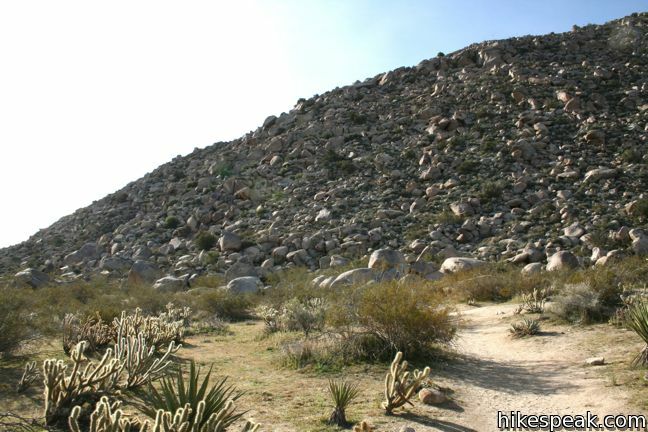 Turn right on Route S3 (Yaqui Pass Road) and drive 7 miles south over the ridge to Tamarisk Grove. Turn right on Route 78, heading west for another seven miles to Route S2. Turn left and drive six miles southeast to Blair Valley. Turn left off the pavement and head east through Blair Valley Campground. It is 3.7 miles over well-maintained dirt roads to the trailhead. There are campsites along the road, as well as a few side roads, so stick to the main channel. Drive 2.7 miles around the north edge of Blair Valley to a T-junction. Turn left, following the sign for Morteros and Pictograph Trail. The trailhead is one mile ahead on the right. 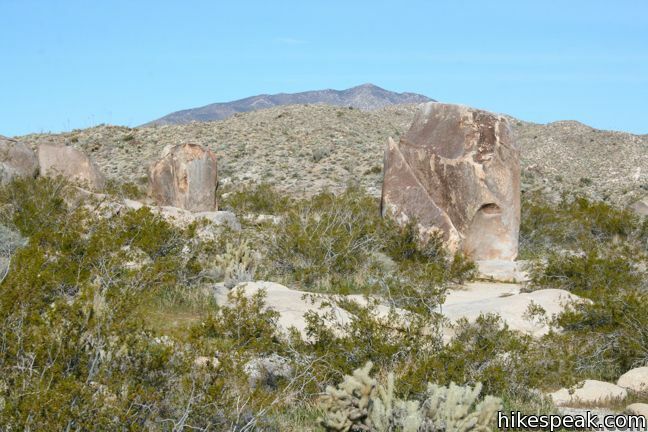 This 1.3-mile hike ascends to the ruins of an adobe cabin on Ghost Mountain (Yaquitepec) with great views above Blair Valley. The photo at the end of the first row has the tag “puzzling depressions in one of the boulders.” These depressions are called “Cupules” and are considered to be one of the oldest forms of Rock Art.